Prescription opioids provide pain relief, but constipation from pain medication is an all too common side effect. As we age, pain and pain control become an important issue. Many of the conditions that cause pain disproportionately affect people starting at about age 65. In some surveys, half of respondents ages 60 and older have said that they suffer from chronic pain. About 70% of cancer deaths occur in people ages 65 and older, so cancer pain is frequently the older person's problem. Several of the conditions that can prolong or amplify pain, such as insomnia, become more common with age. And as age makes our mental and physical health more tenuous, our ability to weather the slings and arrows of pain diminishes too. All of this puts a premium on effective pain treatment in older people. But there's a catch, because the most effective painkillers available have side effects that occur more often and more severely in older people. The best choice for pain relief is, of course, determined by what's causing the pain. If a neck ache or backache is muscular in origin, muscle relaxants can help. Judicious use of cortisone injections can help joint pain. But in most cases, the usual strategy is to start with analgesic pain-relieving drugs that are often better known by brand names because they are sold over the counter: acetaminophen (Tylenol), ibuprofen (Advil, Motrin), naproxen (Aleve), or even that oldest of standbys, aspirin. None of these drugs is entirely free of side effects, but they're generally pretty safe to take for a short while (a few weeks or even months) and at recommended doses. 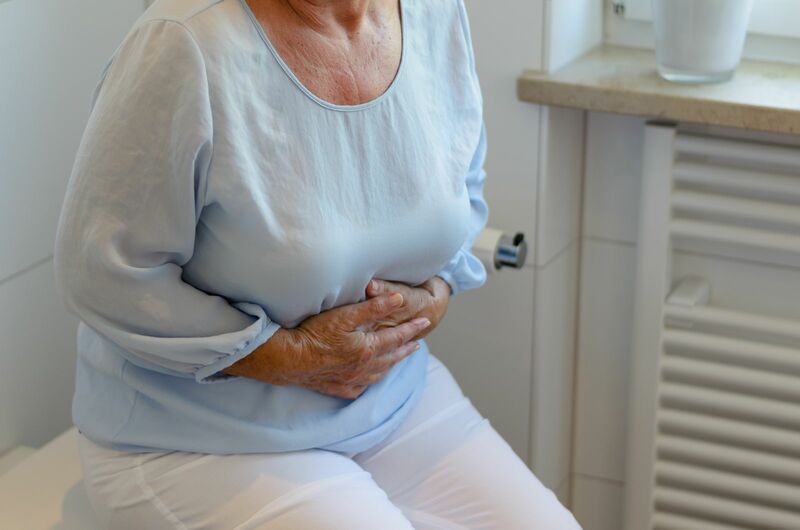 Aspirin, ibuprofen, and naproxen can cause bleeding from the stomach or intestines, especially in people over age 70. Ibuprofen and naproxen can lead to kidney damage and increase the risk of heart disease. Check with your doctor before taking medications for any length of time. The problem with these medications as pain relievers is that they just aren't strong enough if the pain is severe or chronic, so people may need to move up the next rung on the analgesic ladder, to the opioids. Opium, made from the seedpod of the poppy plant, has been used for pain relief for thousands of years. Morphine, which is made from opium, remains a mainstay of pain relief. Any drug, natural or synthetic, with morphine-like properties is called an opioid (pronounced OH-pee-oid). Some of the opioids currently in use besides morphine include codeine; hydrocodone, hydromorphone (Dilaudid), fentanyl (Duragesic), meperidine (Demerol), oxycodone, and methadone. There are many concerns about the opioids, particularly about their long-term use for chronic pain that's not related to cancer. Tolerance may develop, so larger doses are needed for the same pain-relieving effect. Some people become more sensitive to painful stimuli after taking an opioid for a long time. And studies suggest that protracted use may suppress the immune system and disrupt hormone levels. But even short-term use of the opioids poses problems. One of the major ones is the mundane but essential matter of having regular bowel movements. All opioids cause constipation. The rule of thumb is that when they're given at doses providing the same amount of pain relief, the different opioids all cause roughly the same amount of constipation. Most experts say the best strategy is to anticipate the side effect by taking a stool softener and a laxative as soon as you start taking the pain reliever. Drinking plenty of water is a good all-purpose recommendation, but many patients in pain find that difficult to do. Which stool softener and laxative to use is a judgment call. Because the goal is to keep the bowels soft and to get the bowels moving, a stool softener like docusate (Colace, other brands) and laxatives that stimulate the bowels like bisacodyl (Dulcolax) or senna are often recommended. Other options include polyethylene glycol beads (Miralax, other brands), lactulose, and Milk of Magnesia.